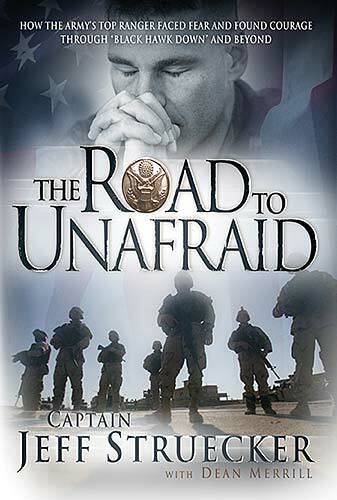 I just finished a book called The Road to Unafraid by Captain Jeff Struecker. I highly recommend it. Jeff Struecker was/is an Army Ranger, won Best Ranger of the year, and fought in Panama, Mogadishu, and the Global War on Terror. In the process he went from being a nominal Christian to a committed Christian and later went through college and seminary to become a Chaplain with the Rangers. Today, I’d just like to quote a bit from one of the last chapters which is about a mission on the Afghanistan-Pakistan border. “The fear of letting down those who look to you for leadership and support is one of life’s most penetrating concerns. It gets right to the core of your being. If you don’t believe that your life is in God’s hands, and that there is no such thing with him as an “untimely death,” you can just about go crazy. I struggled with this the left of the ride. I pulled out of it only when we arrived unharmed at the target building. . . .
Life on the edge is not anybody’s favorite. The longer we live, the less we relish the idea of risk. We think about all the other components of our life, especially our families, and worry that something is going to disrupt the scene in a major way. We’d much rather keep things on a steady, predictable keel.